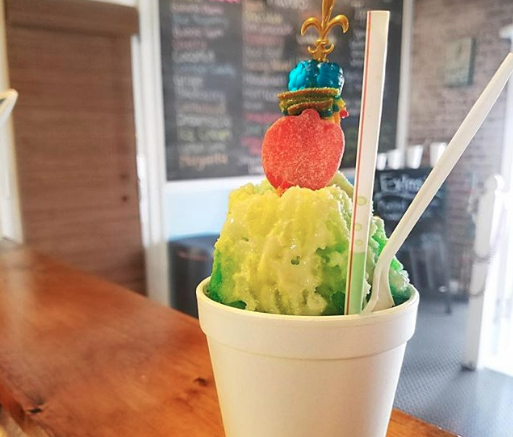 Enjoy a refreshing authentic Louisiana style sno-ball crowned with sprinkles, chocolate syrup or whipped cream. You can also have it "stuffed" with delicious vanilla ice cream. Snow On The Square welcomes you to experience a little taste of Mardi Gras by serving up the authentic flavors of New Orleans fresh every day in the little hamlet of Marietta, Georgia.